ServiceMaster of Aurora has built an industry reputation for providing comprehensive services for water damage restoration in Aurora and the surrounding communities. No matter the size or scope of your residential or commercial damage, we have trained and experienced technicians to do the job quickly, safely, and within your budget. The professional water damage restoration and mitigation services is performed by extensively trained and experienced technicians who use high performance, state-of-the-art equipment specifically designed to provide you with comprehensive restoration services. Call 630-896-0030 today to speak with a knowledgeable representative for complete information on the professional services for the of residential and commercial water damage restoration in Aurora and the surrounding communities. Industry leading products and equipment: State-of-the-art equipment qualified technicians use include truck mounted extraction units, high power duct cleaning equipment, and specialized odor control machines. Advanced technician training: Ongoing training programs keep everyone at Service Master of Aurora current on the latest techniques and advancements. Premium quality services: Expect the best and at rates that will fit within your budget. 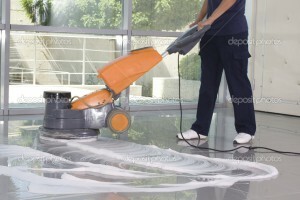 Specialty cleaning: Special project work if offered on services such as hard surface floors, duct cleaning, window washing, and carpet shampooing. At ServiceMaster of Aurora, we have built a solid industry reputation for providing thorough, efficient services for professional water damage restoration. We have, experienced, and talented technicians trained on our premium quality proprietary equipment, including patented carpet and upholstery cleaning solutions for your unique situation. Call 630-896-0030 for complete information on the professional services for the restoration of residential and commercial water damage in Aurora and the surrounding communities. Or simply fill out the contact form below and an associate will respond shortly.